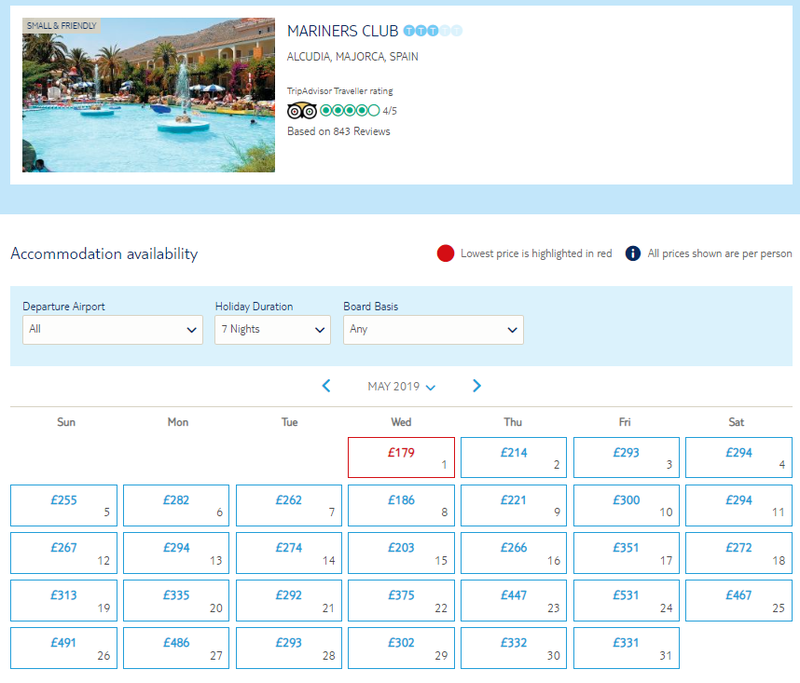 Get next years holiday sorted with one of the great deals over at TUI Holidays. 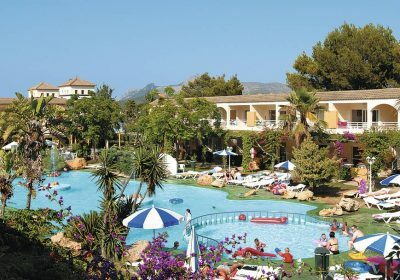 Enjoy a week in Majorca with everything that you need included in the price with this great deal over at TUI Holidays. 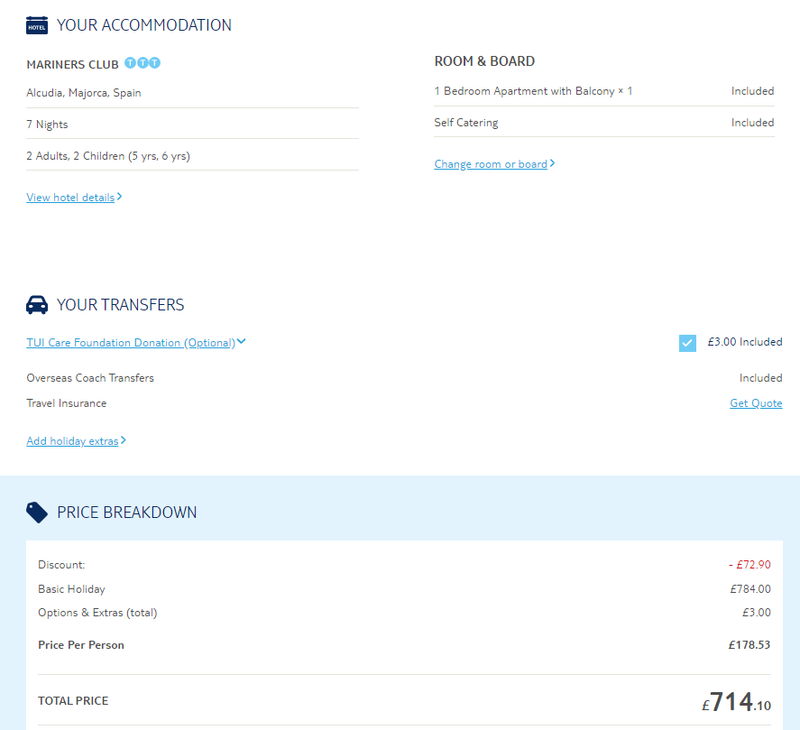 Whilst this example is flying from Gatwick on 1st May 2019, there are plenty of options available to choose from. With plenty of entertainment and a big swimming pool, this place is well set up for family holidays. You’re in a peaceful spot here, but still in a good position for getting out and about. It’s a 15-minute walk to the beach, and the nearest shops, bars and restaurants are just 10 minutes away. 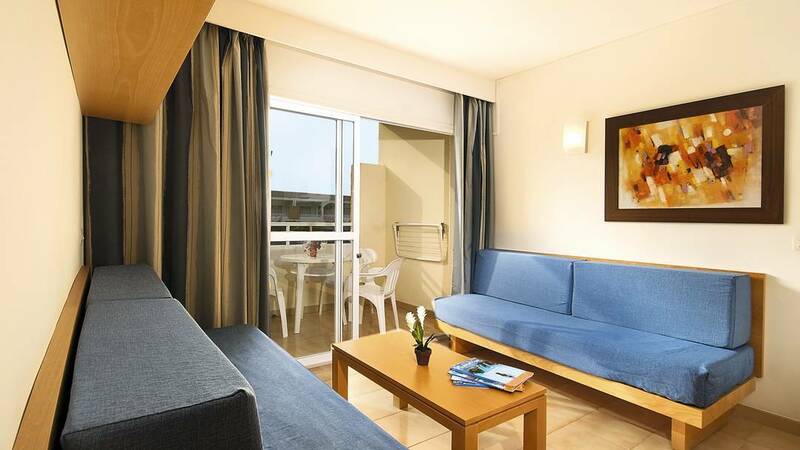 Studios and apartments are spacious, with sky-blue sofas, whitewashed walls and wooden furnishings. Each one comes with a kitchenette and a balcony or terrace, too. The Mariners Club Hotel has great reviews over on TripAdvisor and an average rating of 4/5 stars which you can check out HERE. The comfortable rooms and pleasant surroundings have bagged them a Certificate of Excellence Award so you will be getting great value for money. Based on family of 4 – other party sizes available.